Women and Business Ownership. Do You Have the Right Stuff? Do you dream of having your own business? More and more women each year discover the excitement of being self-employed. If it sounds good to you, the prospects have never been better or the resources greater to help you get started. Enterprising women across America are building businesses that now employ 7.8 million people and generate $1.3 trillion in sales annually. Do you have the right stuff to be happy working for yourself? Are you comfortable with risk, competition, and decision-making? Can you manage your time and money effectively? Can you solve problems, set goals, and hold yourself accountable for success and failure? If you say “YES!” read on. 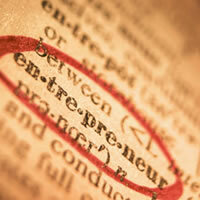 What makes a successful business idea? Experts agree that it starts with something you like to do and are good at. Success follows those who really enjoy what they are doing. A great example is popular TV chef Rachel Ray who in the past few years has achieved fame and fortune doing what she loves—cooking, traveling and sharing her ideas in books, a new magazine, and her own TV talk show. She always looks like she’s having fun! Be sure your business idea calls forth your best talents. Your work should require you to use these things: the skills people compliment you or praise you about; the activities you like so well you would still do them even if you won the lottery; the ideas you have for making the world a better place; and the life experience, education, and training you have. Once an enterprising woman has found a service or product to be the heart of her business, she can make use of the many resources available for help in getting started. These include the nonprofit SCORE counseling organization at www.score.org and the federal government’s Small Business Administration Office of Women’s Business Ownership. There’s plenty of peer support, too. Over 38% of self-employed workers in the US are women,and that trend is increasing. As a professional, I understand not being passionate or loving what you do. I am committed as a wife, mother, working professional and career coach to help others live to work, be resilient and thrive in the process!